Professionally printed cards provide dependability. 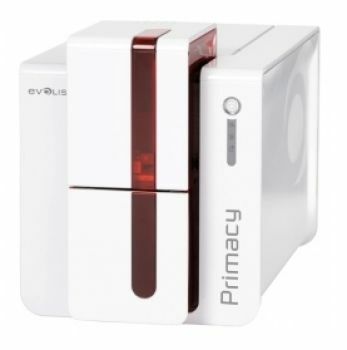 Erect in an easy way with the Evolis Primacy the high-quality cards with which everything is right: the quality, the functionality and the longevity. The Primacy produces monochrome and 4-colored printed cards. With the help of an activation code you upgrade the unilaterally printing machine simply on site on double-sided printing. 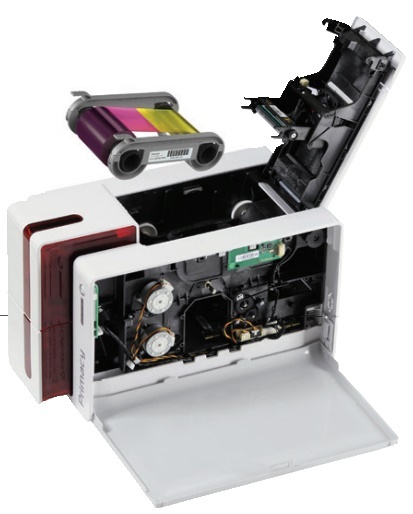 The identical one counts to the coding options: Immediately on site you also integrate afterwards <Codierer for magnet Cards, cards with electronic chip without contact as well as contact-afflicted. The card memory also the rallying box are right practically in the front. You produce 100 cards so automatically and without interruption. The cover is transparent, so that you see any time how many cards are still in the memory. Thanks to a maximum speed of 225 unilaterally printed full-colorfully or 850 monochrome printed cards per hour you also work on bigger print orders fast and reliably. The connection simply follows about USB or Ethernet.